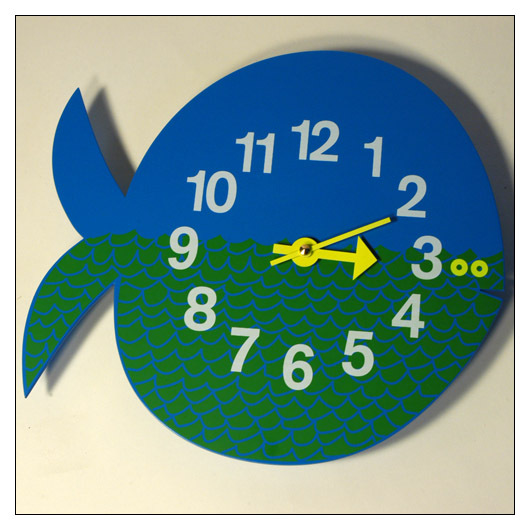 Zootimer Clock Fernando the Fish (mszoclfefi) at Pure Design Kids / Bedroom / Clocks ::: Kids' Toys, Furniture and More at Pure Design Kids! One Fish, Two Fish. . it is a Blue and Green Fish! This wonderful wall clock is a classic reissued by Vitra. Perfect for your mini to learn to tell time. Sorry, this product is not available until November 2018. Please call 800-483-5643 if you would like to pre-order this item.